Kansas guard Quentin Grimes (5) gets to the bucket against TCU center Kevin Samuel (21) during the first half, Wednesday, Jan. 9, 2019 at Allen Fieldhouse. The easy thing to do would be to credit the high-flying freshman for bringing an entirely new dimension to the Kansas basketball lineup. 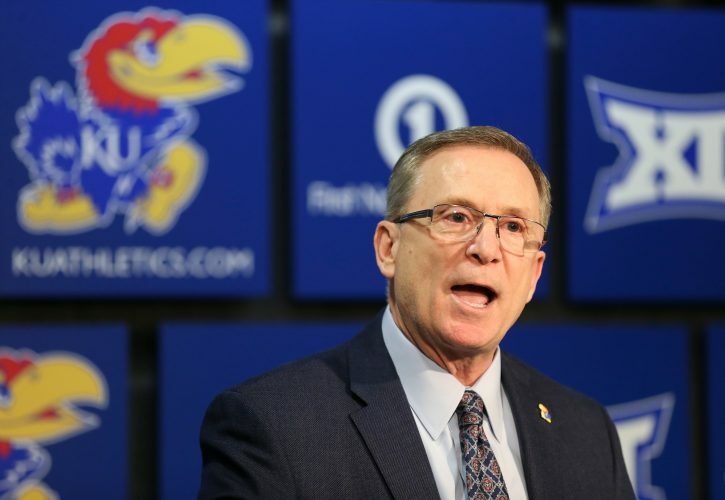 And, sure, no one would blame you for crediting Kansas guard Ochai Agbaji and his lob-catching, high-leaping, energy-laden offensive game for adding life to a sometimes-stagnant KU offense. 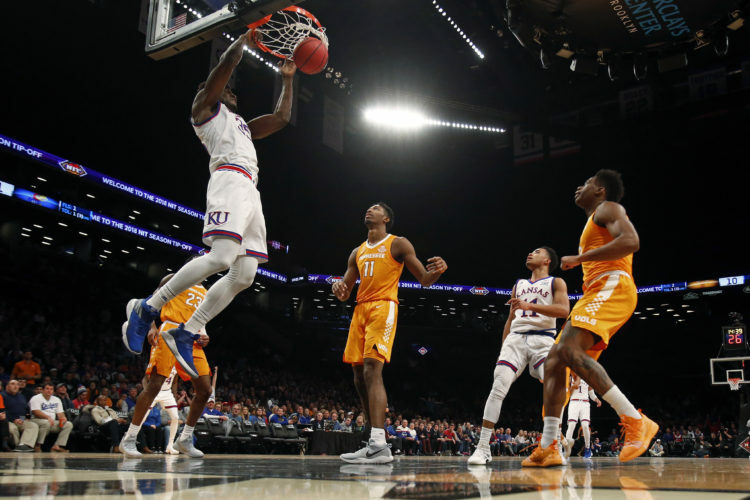 But Kansas coach Bill Self, as he always seems to do, saw it a little differently and had another explanation for the active and electric offense that 7th-ranked Kansas put on the floor Wednesday night during a 77-68 victory over No. 25 TCU at Allen Fieldhouse. So what was the big difference? That depends on where you look and who you ask. From Self’s perspective, it was movement. Maybe part of that was by design and coached into the players during the couple of practices that followed the Iowa State debacle. 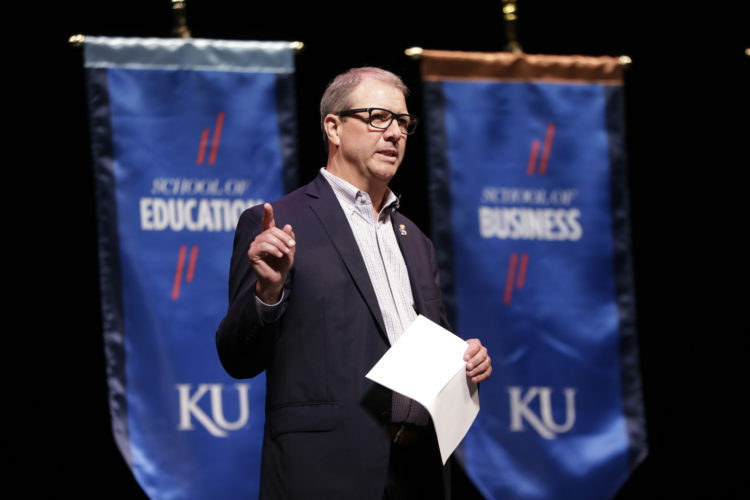 And maybe some of it came from being energized by being back in front of the home crowd, which was particularly fired up for Wednesday’s game and, clearly, ready and willing to do its part to help the Jayhawks get back on track. 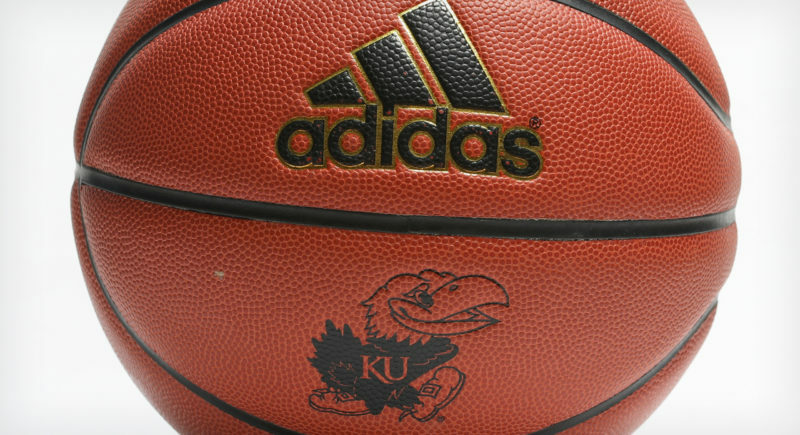 It’s a give-and-take as old as time and has been benefiting the Jayhawks for decades. The players play hard and deliver a few highlights and the fans go bonkers. At the same time, when the rabid fans inside Allen Fieldhouse bring the noise and strive to be louder by the second, the players feed off of it. 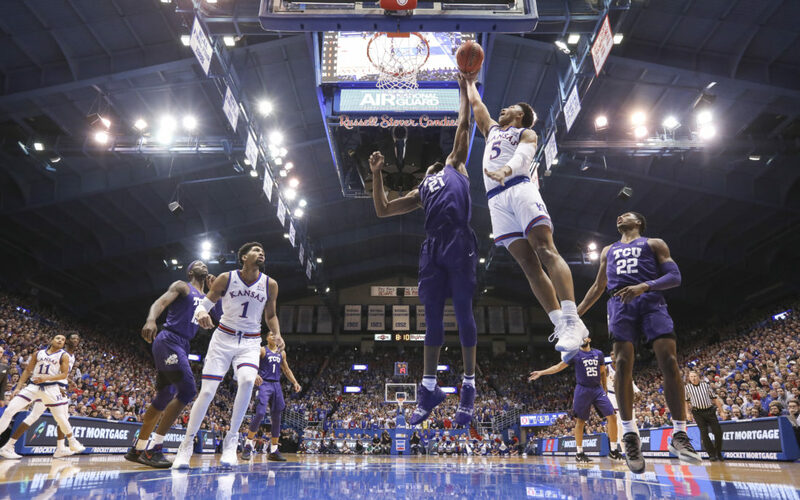 Both sides of the equation were on display Wednesday night, and that, too, was something that Self noted after the victory, using the lob he drew up specifically for freshman guard Ochai Agbaji five minutes into his KU debut as a perfect example. On the stat sheet, Kansas finished with 12 turnovers — half as many as it had at Iowa State — and the better handling of the led to more chances to score, which led to more opportunities to get Dedric Lawson the ball, which led to more opportunities for KU’s guards to dive and move and cut and play off of him. It was not just the lobs — two to Agbaji and a third to freshman Quentin Grimes — that added a new look to the Jayhawks’ offense on Wednesday night. With 7-foot center Udoka Azubuike out with a wrist injury and even 6-foot-9 forward Dedric Lawson on the bench for short stretches, the small-ball Jayhawks played fast, in transition, on defense and even in their half-court sets. That, again, is where Agbaji enters the picture. While the freshman’s overall stat line of 7 points, four rebounds, two steals, a block and an assist is hardly worthy of mention on the list of all-time KU debuts, the energy he brought to the floor completely changed the look and feel of this Kansas team. “It definitely moves the defense, it shifts the defense and it can get open shots for other guys,” Agbaji said of increased movement in KU’s halfcourt sets. Whether it was defending on the perimeter on one end, crashing the glass on the other or doing his thing to help fill KU’s highlight reel high above James Naismith Court, Agbaji’s desire to compete his tail off on every possession certainly appeared to rub off on the rest of the Jayhawks. That was Agbaji’s intent. He had no idea how much he would play, how well he would do or how long any of it would last. But he knew he was going to give it hell while he was out there. Agbaji, as much for his defense and poise as any of his offensive skills, was on the floor in the final minutes, with the Jayhawks (13-2 overall, 2-1 Big 12) clinging to the lead and trying to hold off a late TCU rally.